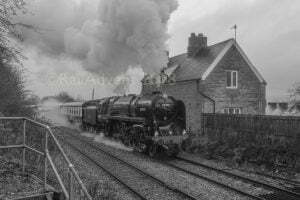 The 73082 Camelot Locomotive Society has unfortunately had to withdraw their British Railways (BR) Standard Class 5 No.73082 “Camelot” following the engine failing while hauling passenger trains on April 17th. Damage caused by the failure? On April 17th, the locomotive suffered a failure whilst departing Kingscote station on the Bluebell Railway. 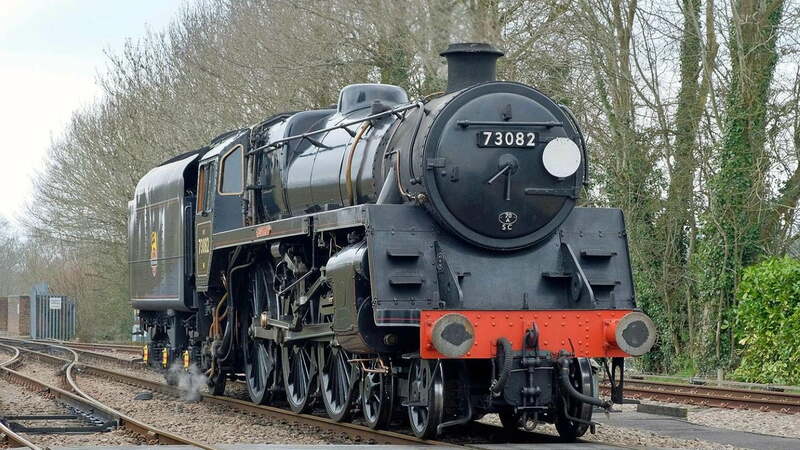 The train reversed back into Kingscote Station, where 73082 was kept overnight. 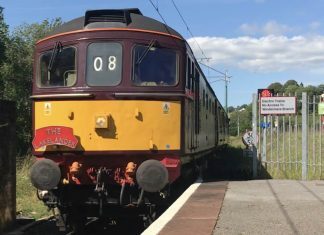 The next morning, after the connecting rod was taken off, a Class 09 shunter towed the Standard 5 back to Sheffield Park. 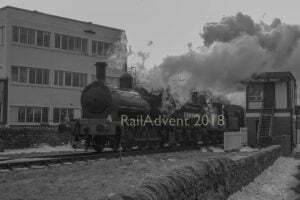 Once the engine had been hauled by Class 09 shunter to Sheffield Park, it was found both left-hand and right-hand front cylinder covers were cracked and left-hand piston head was broken. Currently, this is the only known damage the locomotive has sustained, with further examination due to check the condition of the cylinders. Based on current findings, new covers and a piston head will be needed. The piston head casting is available with external suppliers, but the unique cylinder covers will require a pattern to be made, costing time and money. The society estimate Camelot will be back in traffic in two to three months time. This could be longer if any other components are affected. If you read the Camelot Locomotive Society’s original report, you will see that three, and not just two, new cylinder cover castings are required. Thanks for the information, we read it as a Left and Right Cylinder Cover casting and a new Piston Head Casting was required.